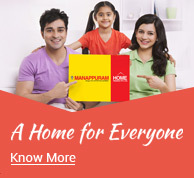 Manappuram Finance Limited, has in recent years, emerged as a leading non-banking financial company (NBFC) in India under the stewardship of Shri V.P. Nandakumar, MD & CEO of the Company. Shri V.C. Padmanabhan was born in the year 1916. In 1949, he established Manappuram in the coastal village of Valapad where people mostly depended on fishing for a livelihood. 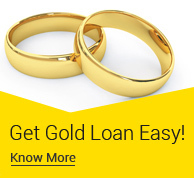 The firm carried out money lending and pawn broking on a modest scale. In his own way, Shri V.C. Padmanabhan was a visionary who started his own simple business to disburse small loans to the needy. Those were days when banks were not as numerous as today and documentation requirements prior to loan disbursal were forbidding. The vision and entrepreneurial spirit in Shri Padmanabhan foresaw the need to cater to this segment that needed money for small purposes and did not have the time or the literacy levels to approach banks. And to this day, the Manappuram story continues to be strongly identified with Valapad, where it functioned for long as a single branch business until his death in 1986. Over the years, Shri Padmanabhan managed the business in a very traditional way, on a tight leash, and never expanding out of Valapad. And yet, it had managed to become a highly successful and greatly trusted name with deep roots in the local community. 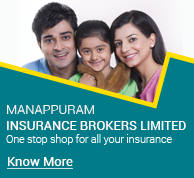 Shri Padmanabhan earned a reputation for integrity, and Manappuram became known in the Valapad area as a safe-haven for the deposits of the local people, offering higher returns along with assured safety. True to the stereotype of a conservative banker, Shri Padmanabhan was averse to risks. He ran his business on a capital base of Rs.5 lakhs and had imposed upon himself a voluntary limit of Rs.25 lakhs being the maximum deposits he would accept from the public. Beyond this limit, potential depositors were either turned away or made to wait for their turn in a queue. As and when an existing depositor withdrew his money, Shri Padmanabhan would send out inland letters to the next in line, informing them of the availability of a slot, and grateful depositors would rush in with money, to take advantage of the offer. And such was the formidable reputation of the firm that even as it remained anchored in Valapad, the deposits came in from around the world, from locals who had moved out of the Valapad area to the Gulf countries and to other parts of India in search of employment, and who continued to carry their trust in the Manappuram name with them. That was how things remained until 1986, when Shri V.C. Padmanabhan passed away. When his son, Shri V.P. Nandakumar, took over the reins, it was this resolute trust in the Manappuram name—the goodwill that served as the hidden capital of the business—that he was able to leverage. Very early on, he decided to do away with the voluntary limits on deposits and loans and business levels shot up, quickly going over the one crore rupee mark and beyond. However, before long, the limitations of operating under a proprietary concern became clear and he promoted Manappuram Finance Limited in 1992. The company went in early for an IPO in 1995 because the experience of trying to raise funds from the Commercial Banks was to prove frustrating. Even after mortgaging his personal residence, Banks were unwilling to lend him the amounts he was looking for. However, the financial implications of a public issue were daunting. Those days, the rule was that a company going in for the IPO should have a minimum of Rs.3 crores as paid-up capital and Manappuram Finance, at the time, had about half of that. Shri Nandakumar launched an initiative to collect small retail investments from among the Manappuram customers belonging to the Valapad area who were familiar with the legacy of his father. Once again, it was the trust that people of the area had in the Manappuram name that came to his rescue. The funds were mobilized and the issue went through without a hitch. That was how Manappuram Finance Limited got its start and the rest, as they say, is history. These days, every year, in the month of June, Manappuram Finance Ltd. commemorates its founder with the “V.C. Padmanabhan Memorial Annual Lecture and Awards for Excellence” instituted in his name. 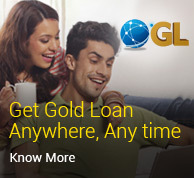 With our new online gold loan facility, you can avail gold loan 24x7, from anywhere in the world!